Ok. Admit it. Your image of ricotta comes from a tub bought in the supermarket. Dry and tasteless. Think again. Imagine ricotta so light and smooth that it melts on your tongue. It has a rich yet vibrant taste. That’s the real stuff. When in Rome last October I became addicted to this. Try it with honey. Yum. The only sad thing is that it’s almost extinct here in the U.S. I’ve searched high and low. Some say “make it yourself” with a combination of heating milk and curdling with lemon juice. This produces a nice and light homemade cheese but it is NOT ricotta. 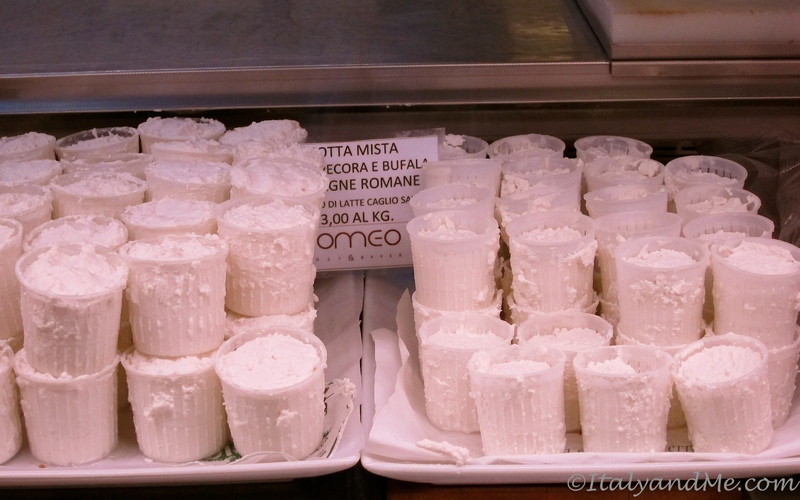 Ricotta (re-cooked) is an Italian whey cheese made from sheep milk whey left over from the production of cheese. Similar but not the same. I sure wish I had some right now. Don’t you? ← Carabinieri. Searching for My Italian Style. Looks fab, I’ve just signed up to do a cheese making course and I can’t wait!! What kind of cheese will you be making? Sounds like fun! Ricotta, mozzarella and pecorino, I can’t wait! When you find this ricotta here, perhaps we can also find the most amazing burrata?!? I have watched it being made and tasted the results…absolutely delicious.